The Sagicor SIGMA Corporate Run is a unique road-running event designed to inspire fun, fitness and camaraderie among Jamaica’s business community. On Sunday morning, February 17, 2019 at 7:30 a.m. walkers, joggers and competitive runners from over 200 companies will participate in what have become an annual tradition and undisputedly, the Caribbean’s largest road race. 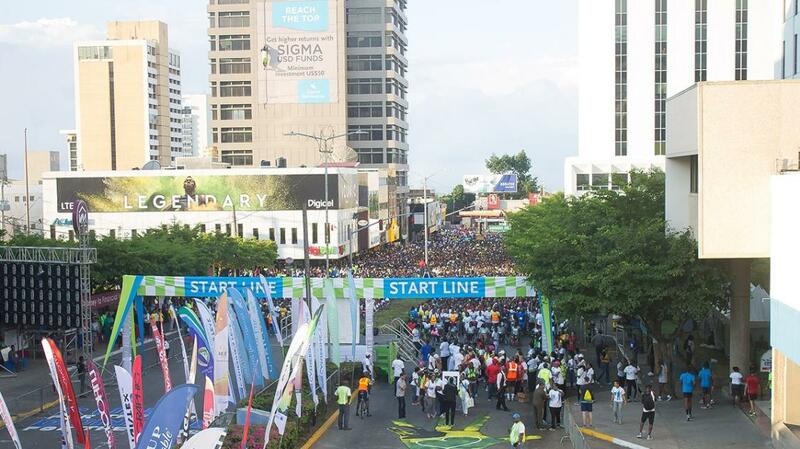 The Sagicor SIGMA Corporate Run is a 5 Kilometre fun run that is open to participants of all fitness levels. The event starts at Emancipation Park in New Kingston and culminates in a post-run celebration featuring an awards ceremony.